The sales department at Middletown Toyota is proud to serve New Haven and Hartford, CT area drivers and families with an extensive selection of new and used Toyota cars, pickup trucks and SUVs at competitive prices. Our sales specialists are highly knowledgeable in the latest Toyota models and their features, as well as our used car selection that we offer. Whether you are shopping for a fully-loaded new Toyota Highlander or RAV4 or an affordable pre-owned Toyota Camry or Corolla, our sales team is here to assist you in your search. Some local car buyers who visit us know the exact Toyota model, year, color and features they want; however, we also assist car shoppers who are just beginning their new car search and want to learn more about Toyota's latest offerings. If you fall into the latter category, then be sure to call or -- even better -- visit our sales staff to chat about the type of car, SUV or pickup truck you are after. Once we know your budget and other requirements for your next vehicle, we can suggest Toyota models that may suit your needs and lifestyle perfectly. Even before your visit to our dealership to speak with our sales department staff, you can begin to peruse our new Toyota and used car inventory here on our website. Here, you can also learn more about popular Toyota models like the RAV4, Prius, Corolla and Camry. For some guidance on your car search before you arrive to test drive a range of new Toyotas or used cars, consider the following. If versatility and spaciousness are of chief concerns to you, then consider Toyota models like the new Highlander, RAV4, Sequoia and 4Runner. Shop our selection of the Prius family of hybrid cars, Camry Hybrid, Corolla or Yaris if you are looking to maximize fuel economy. For rugged capability that only a pickup truck can deliver, see our collection of Toyota Tacoma and Tundra trucks! Our dedicated team of sales associates can be reached by phone, through our website or with a visit to our Toyota dealership in Middletown, CT. Visit us near Hartford to discover a new Toyota or quality used car for sale that you want to drive home! Sam Ashkar New & Pre-Owned Sales Consultant since 2009! Bob Magnano New & Pre-Owned Sales Consultant since 2006! Bob Blakeslee New & Pre-Owned Sales Consultant since 2003! 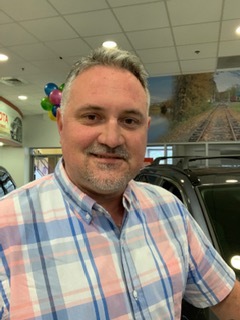 Victor OrtizNew & Pre-Owned Consultant since 2018! Lino GiarratanaNew & Pre-Owned Sales Consultant since 1994! Sokol EtemiSales Consultant since 2017! Jasmine MooreSales Consultant since 2018!